The SLFP group representing the Government has decided to prepare its set of proposals to amend the Value Added Tax (Amendment) Bill to be taken up in Parliament on July 20. 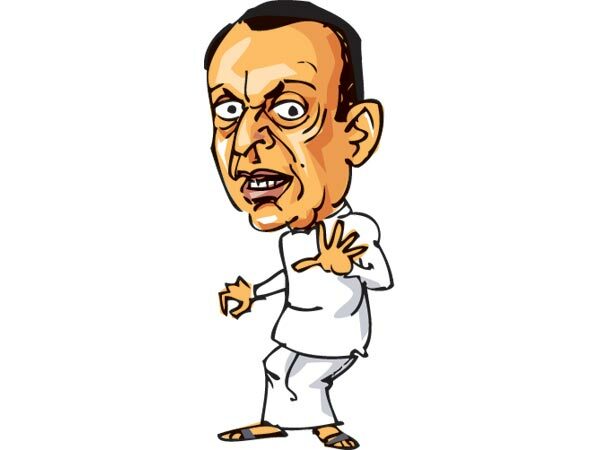 Finance State Minister Lakshman Yapa Abeywardena told the Daily News yesterday that the set of SLFP proposals with regard to the VAT (Amendment) Bill would be handed over to President Maithripala Sirisena on Sunday morning. He said the SLFP group in the Government met on Tuesday to discuss the VAT (Amendment) Bill. “We could not finalise our proposals during this meeting. “However, we decided to prepare our proposals and hand them over to the President. Various ideas came up and those will be finalised in the next few days. We will meet the President on Sunday and discuss what we can do in this regard,” he said. The President who is presently overseas is expected to return to the country on Sunday. Contacted by the Daily News, JVP MP Bimal Ratnayake said his party is yet to take a final decision whether to support the Bill or not. “The Government will bring in more amendments to the Bill when it is taken up on Wednesday. We are not aware about their content yet. Therefore, our final decision will be taken after going through those amendments. Our Parliamentary Group will meet on Wednesday morning for further discussions in this regard,” he said. He said the JVP is also contemplating certain amendments to the Bill. However, he noted there is also a probability of the JVP objecting to the Bill. “The policy of the Government was to increase the direct tax and reduce the indirect tax. What the Government is doing now is contrary to this policy. We have problems over the percentage of VAT increase and the way the Government is going to implement it” he commented. The Joint Opposition has already announced that they would be presenting their own amendments to the Bill. The Government can either accommodate or reject the amendments proposed by other parties during the Committee Stage of the Bill. The VAT (Amendment) Bill was presented to Parliament for the First Reading by Finance Minister Ravi Karunanayake on July 8. The Supreme Court on Monday issued an interim order suspending the implementation of the VAT revision until the Bill is passed in Parliament. The government will make a final decision on the proposed Value Added Tax (VAT) on July 20, Finance State Minister Lakshman Yapa Abeywardena said yesterday. The state minister who addressed the cabinet media briefing held at the government Information Department stated that the recent Supreme Court decision to halt the VAT increase would be discussed by the Prime Minister and President on July 17 and 18 and the government would reach a consensus on it by July 20. The Supreme Court on Monday issued an interim order suspending the VAT increase from 11 percent to 15 percent. They decreed that the increase needed Parliamentary approval before it could be implemented and that the increase would be suspended until the case against it is heard in courts. “If we are to get Parliamentary approval for the increase, the second clause of having to wait for a final decision on the case becomes null and void.”Abeywardena said. Though consecutive governments have been in the practice of increasing taxes without prior Parliamentary approval, the state minister pointed out that this was the first time that someone took the government to task for it in the Supreme Court. “Once the VAT increase is passed, the government will collect taxes retrospectively from 2 May”, added the state minister. He also explained that the increased VAT had not been collected as of yet and the recent increases in prices were due to traders taking undue advantage of the VAT. “We have 73 items which have been exempted from VAT and they have a control price imposed on them. Thus it is not possible that the prices of all goods should go up because of VAT. The government will absorb increases in prices but this will only be of use if that benefit is passed on to the consumers,”he stressed. The Ministry of Industry and Commerce will gazette control prices for 15 essential items today (8) and 10,000 Consumer Affairs Authority (CAA) officers are to be deployed to all divisional secretaries to ensure that traders adhere to the price controls. The government also plans to open 600 new Lak Sathosa branches and work with 2000 other retail outlets by the end of 2017 to ensure that there is no shortage of goods at the specified controlled price. The idea of constituent parlteis of the parliament proposing legislation is a very good idea. That gives the consensus we have been lacking. Ranil at the begining of the current parliament said that he is looking for consensus and all parties to join in a national government. It is now happening in stages. The constitutional reforms too received suggestions from various parties. The way to go. Please continue this process and all parties should get involved in the future bills too so that only the best can happen to the country! Good idea to open new Sathosa outlets though they cannot compete with other super markets when it comes to quality and variety. I have seen that they are patrinized by mainly the lower income population. Another point is that Sathosa should never be brought under Ravi Karunanayaka!